There’s a good reason why the Monkey River has the name that it does, but this pristine watercourse in southeastern Belize is home a wide diversity of plants and animals, including the troops of black howler monkeys that gave the river its name. They are, after all, the prime attraction for tours of Monkey River. 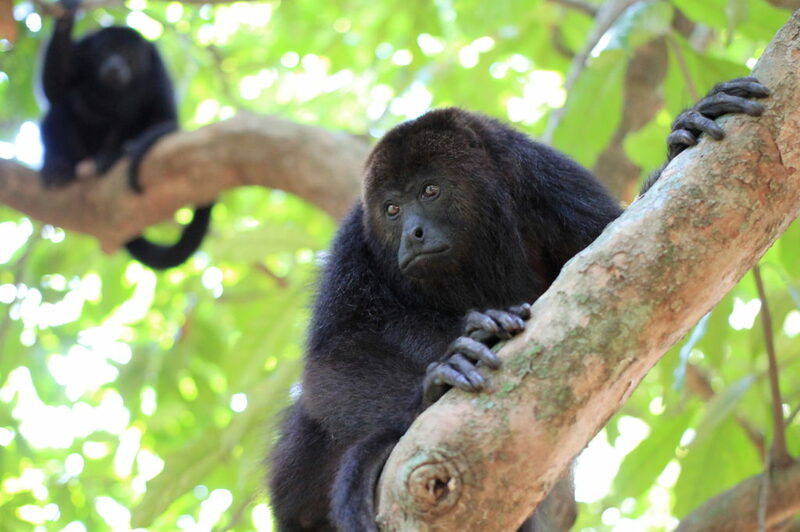 Black howler monkeys, known locally as “baboons”, are some of the loudest animals in the world. Their cries can be heard up to three miles (5 km) away. Despite their name, only the adult males have black fur. Adult females and juveniles of both genders have a whitish, golden fur. 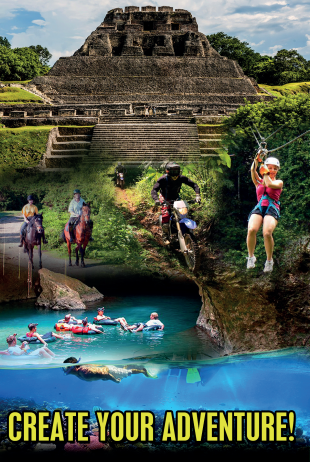 Monkey River Village has become a popular tourist destination in southern Belize and as a result residents have entered into the tourism industry by becoming tour guides, hoteliers and restaurant owners. When you visit Monkey River, you will help not only the local economy but also improve the well being of the local people while you learn about how the people live in harmony with mother nature. Monkeys may be the main attraction, but the lush landscape and thick jungle on the banks of the river are home to a wide variety of animals, including birds, giant iguanas, ocelots, tapirs, deer, agoutis, crocodiles, bats, and even manatees. Tour guides are very knowledgeable about the wildlife in the region, making a tour of the Monkey River a great way to learn more about the flora and fauna of Belize. Most boat tours of the Monkey River include a brief stop to enjoy a hike through the rainforest. Along the way, the tour guide will point out interesting plants, including those still used by local people to prepare medicinal compounds. Boat tours up the Monkey River proceed slowly, allowing visitors to relax and drink in the untouched, natural beauty of the region. Boat tours allow visitors to explore deep into the heart of the Belizean rainforest to access areas that are difficult or impossible to reach by car. And sharing a home-cooked meal with villagers is a great way to learn more about the people of Belize. 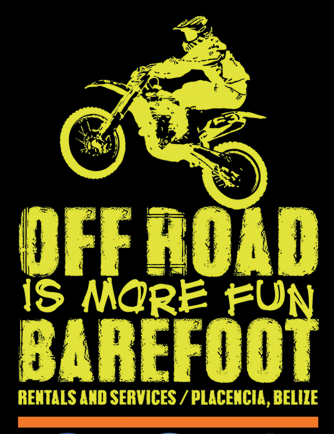 If you’d like to enjoy a tour of the amazing Monkey River, contact Barefoot Rentals and Services.